When it comes to the reckless spirits seeking its niche, I guess the world is really not enough. 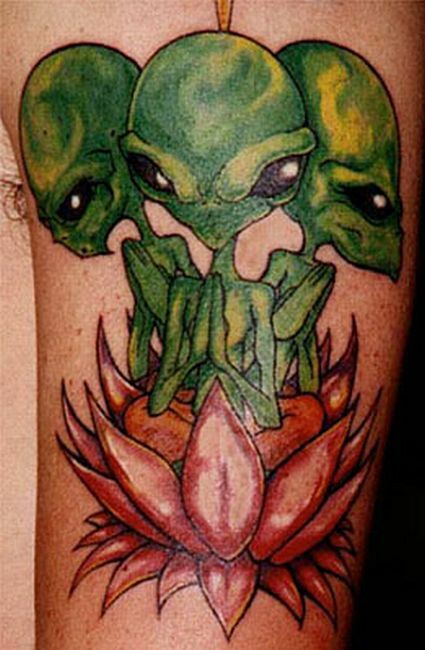 And that would be a really good raison d’Ãªtre for looking for cooler themes for your body ink, far away from our planet. And must I say these freaky alien tattoos are in actuality not half bad considering how even the nerds are going under the needle. Savor our pick of the most âout thereâ tattoos after the jump. Crawly lizard tattoos for freaky freaks! Torn apart -Skull and a panther! Shooting star tattoo-wish coming true! ← Bizarre tattoos ruling fashion trends!